US-led coalition fighting ISIS denies reports that its air strikes in eastern Syria killed dozens of civilians. 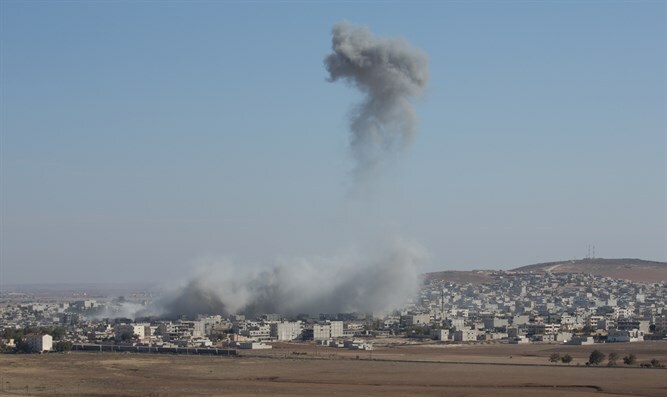 The US-led coalition which is fighting the Islamic State (ISIS) group in Syria and Iraq on Sunday denied reports that its air strikes in a part of eastern Syria held by the jihadist group killed dozens of civilians. On Saturday, the Britain-based Syrian Observatory for Human Rights said that coalition air strikes killed 43 people, mostly civilians, in the Abu Husn village of the Deir Ezzor province near the Iraqi border. The coalition said in response it struck only “legitimate” militant targets, and that another 10 airstrikes in the area were not carried out by US-led forces.